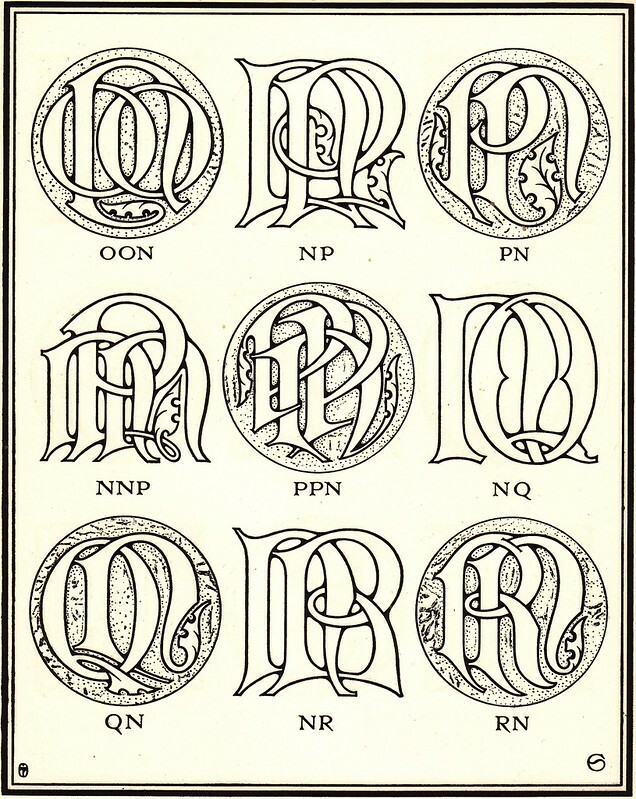 plates in the book depict two-letter monograms. 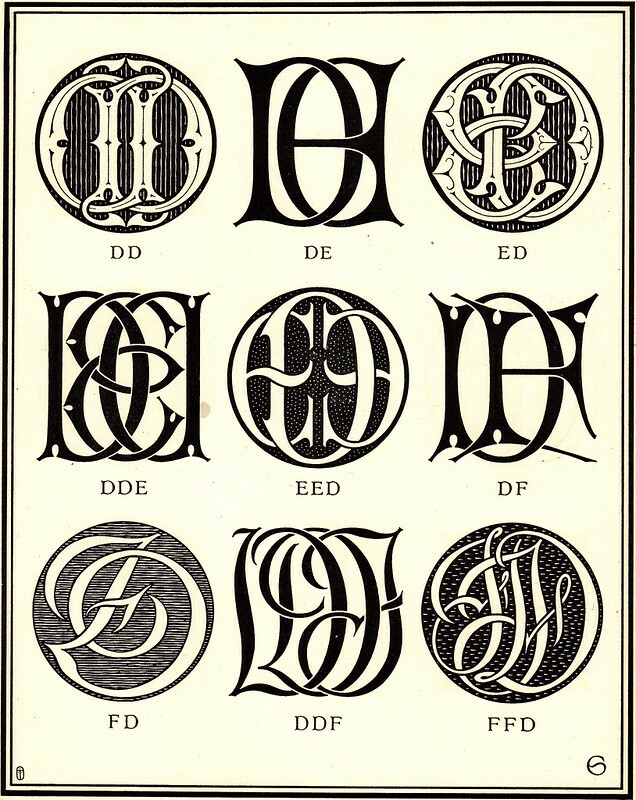 "There is to-day a growing taste for severe chaste forms in printing types and lettering; the same influence is also directing a change of style in the more decorative Monogram and Cipher. The florid combinations of the last two centuries are gradually falling into disuse, and are giving place to the very simplest forms. 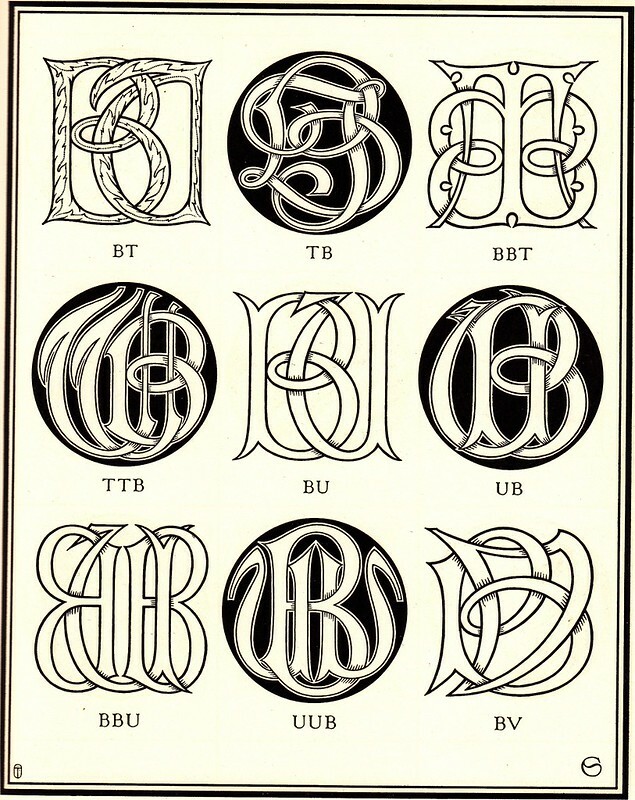 The aim of the present work is towards simplicity, but in order that the book may appeal to various tastes, and thus be of greater value, examples of many styles are included.Each of these styles, while based on some familiar form which has long been in use, has had its pruning, and as much of the superfluous flourish not necessary to letter or design has been discarded. 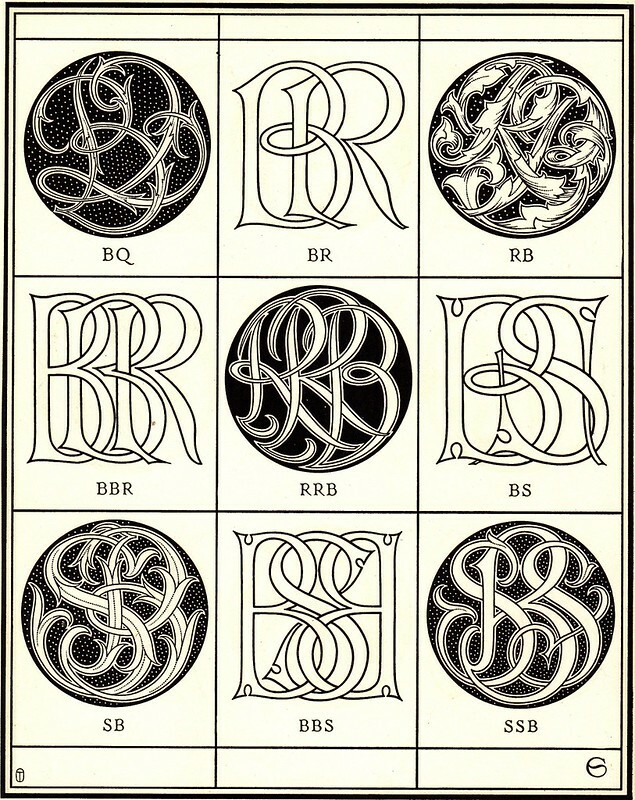 The styles included may be classed under five principal heads—Roman, Gothic, Sans Serif, Cursive or Running, and what I might call Rustic. 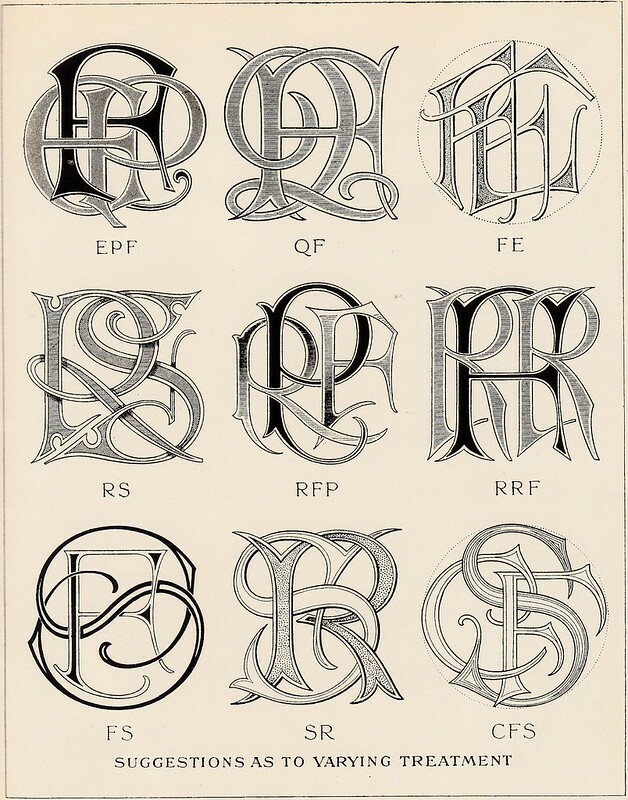 These styles are treated in various ways, and in light and heavy letters. Here and there throughout the work a design will be found that may suggest a treatment for some particular device. These are odd pieces that have occurred to me as the plates were in progress, the execution of most of which would probably be more satisfactory in embroidery than any other medium. There are three principal forms of treating a device; I will call them the Imposed, Extended, and the Continuous forms. 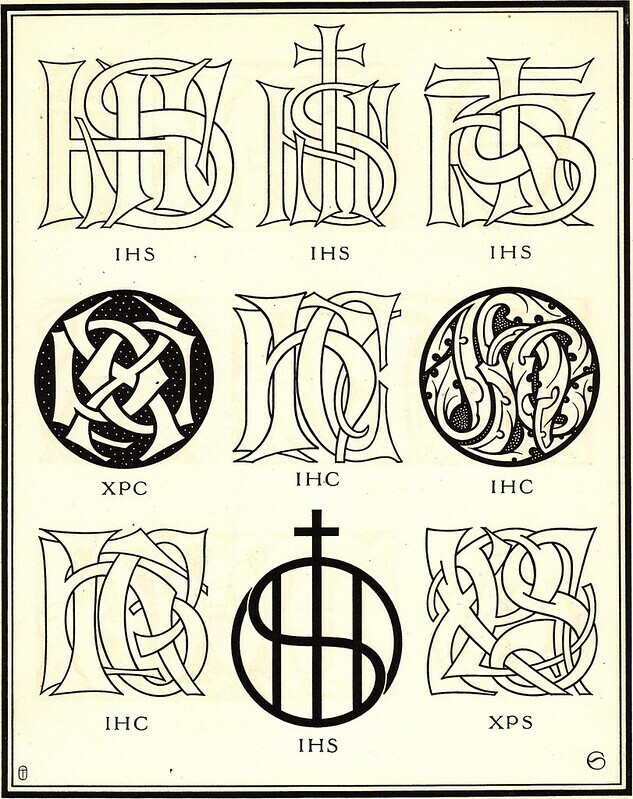 By the Imposed form I mean a design where the letters are written or interlaced directly over one another. 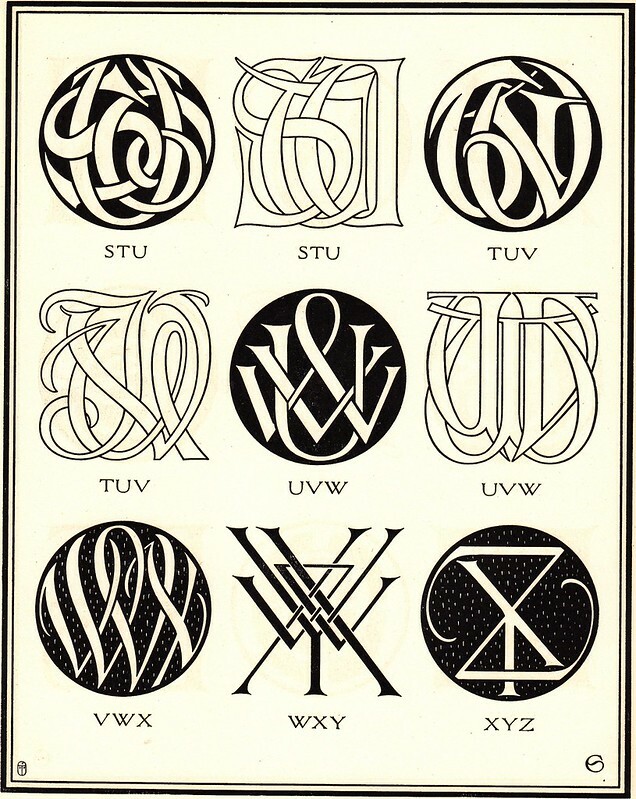 In the Extended form the letters are interlaced or written side by side. In the Continuous form the device runs from beginning to end without a break. In the Imposed form the principal letter, whether it is first or final, should be accentuated, either by making it slightly larger, heavier, or in some other way best suited to the material in which it is being produced, it may be colour or texture. 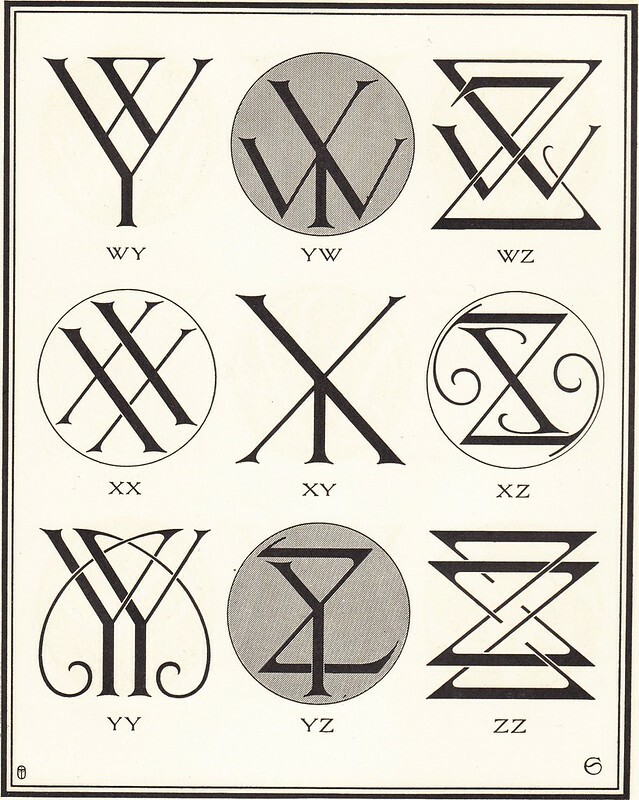 For the Extended form, if the letters are to be read in the order in which they follow one another, all may be treated alike. 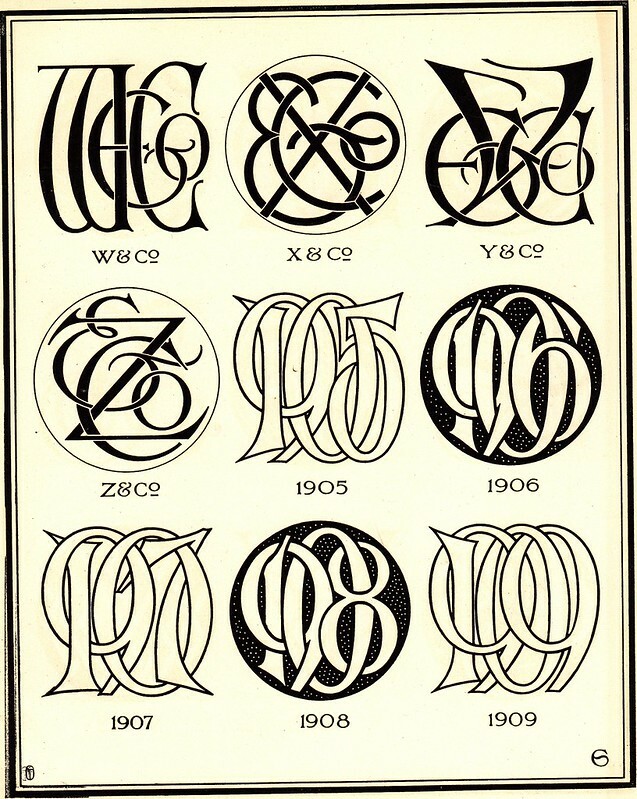 In this form, however, it is often advisable, for design and balance, especially when filling a circular space, to place the principal letter in the centre; in that case it may be drawn larger, and in some other way made more important. 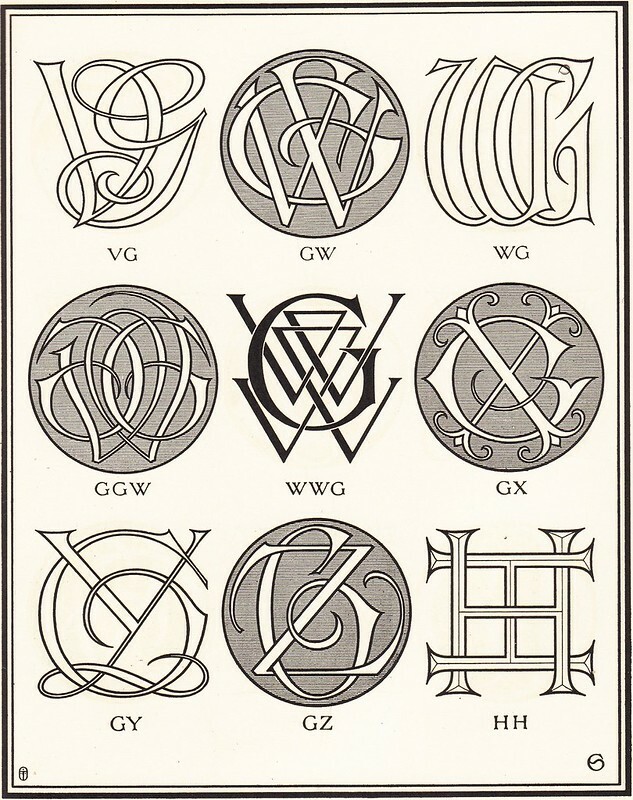 The Continuous form should read as the letters would be written, and care must betaken to place them so that they will not appear to read in some other way. 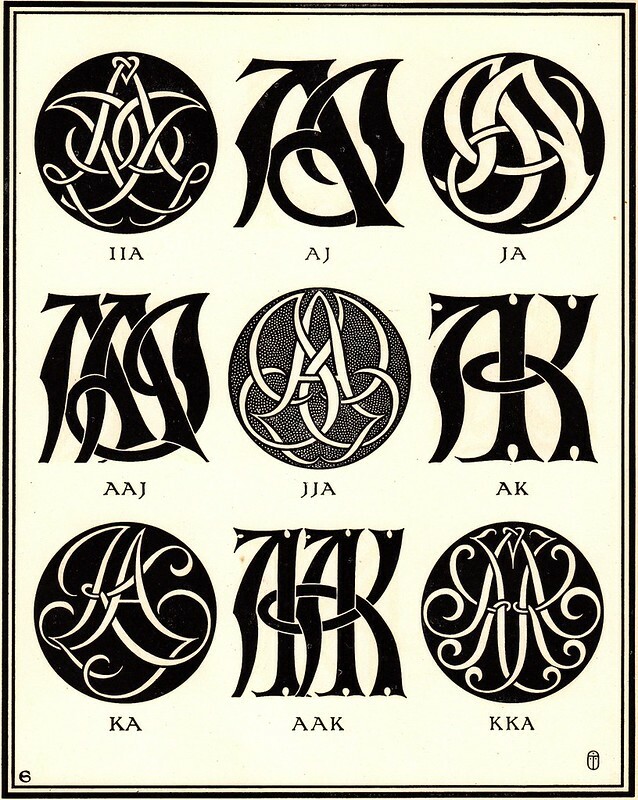 A Monogram^ is a combination of two or more letters, in which one letter forms part of another and cannot be separated from the whole. 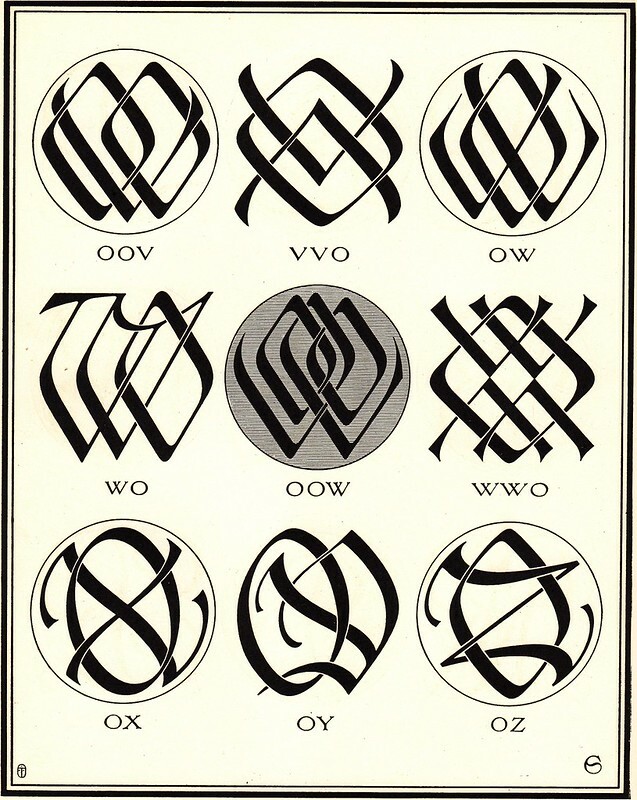 A Cipher is merely an interlacing or placing together of two or more letters, being in no way dependent for their parts on other of the letters." 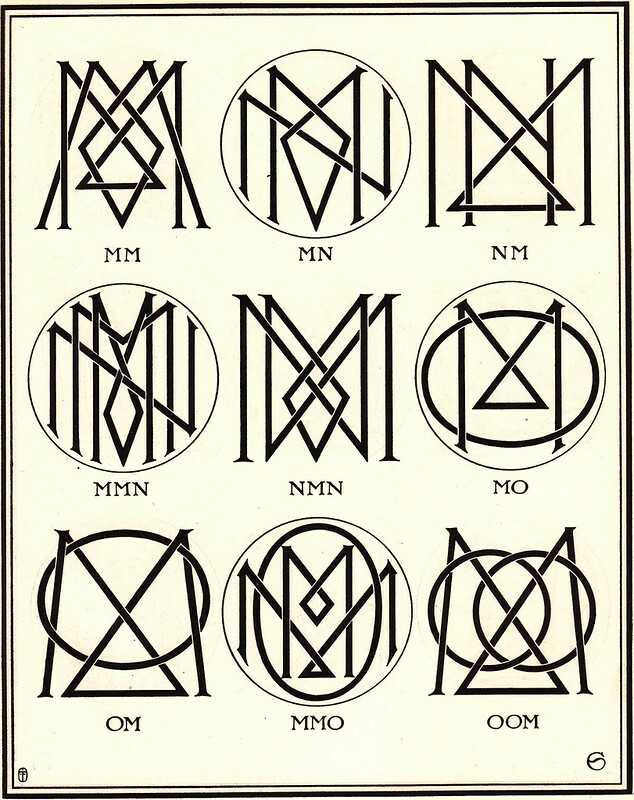 I am grateful to my (new) brother-in-law, Colin, for lending me his early edition copy of 'Monograms & Ciphers' by AA Turbayne (1912) from which the above (slightly cropped) images have been scanned. I scanned a whole lot more illustration plates from the book which I'll probably upload somewhere in the near future. 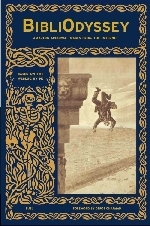 The first edition of this book was published in 1905 with equal title credit given to the Carlton Studio Artists, but it didn't have an introductory note and the number of illustrations in that edition is unknown. I presume the 1912 edition became/is the definitive version. 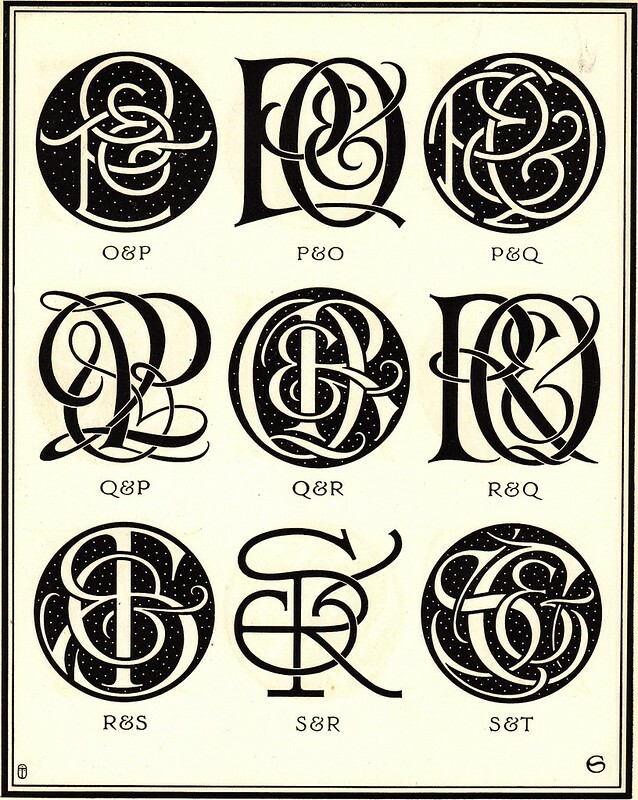 Amazon lists a number of different editions of 'Monograms & Ciphers', including recently published versions. A complete 1906 edition, with modest-sized (?microfilm) scans of all the illustration plates, is available from Project Gutenberg -- this edition includes an identical introductory note to that found in the 1912 edition that I have with me. Oddly, the 1912 introductory note bears a precise writing date in January 1912 (The 1906 & 1912 editions were both printed in Edinburgh, but by different printers) I don't know the reason(s) for these apparent minor aberrations. 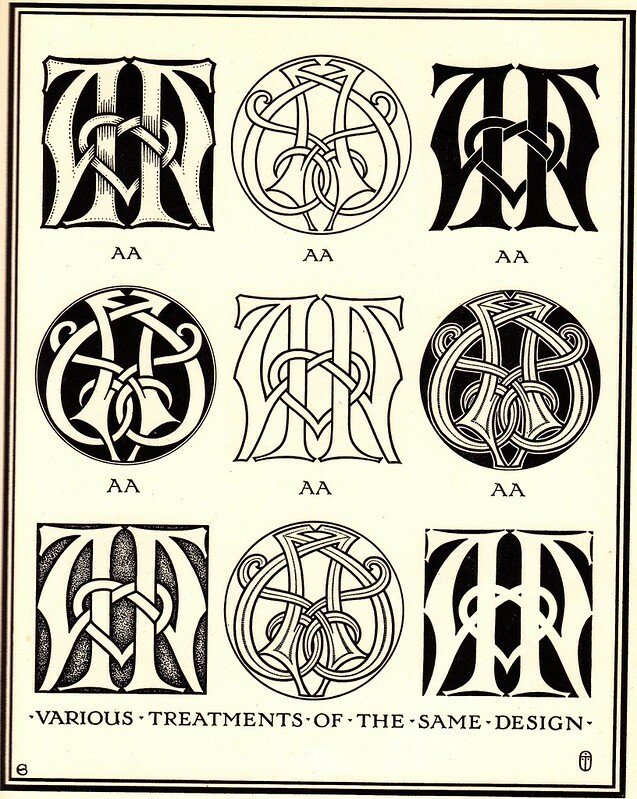 A few of Turbayne's Art Nouveau book cover designs are on display at the Royal Academy of Arts website. Minor mention of Turbayne is made in this 1966 article, 'Book Illustration and Design By Canadian Artists 1890-1940 with a list of books illustrated by members of the Group of Seven by Sybille Pantazzi' IN: The National Gallery of Canada Bulletin. [Some of the Canadian artists ended up joining the Carlton Studio in London during Turbayne's time there]. 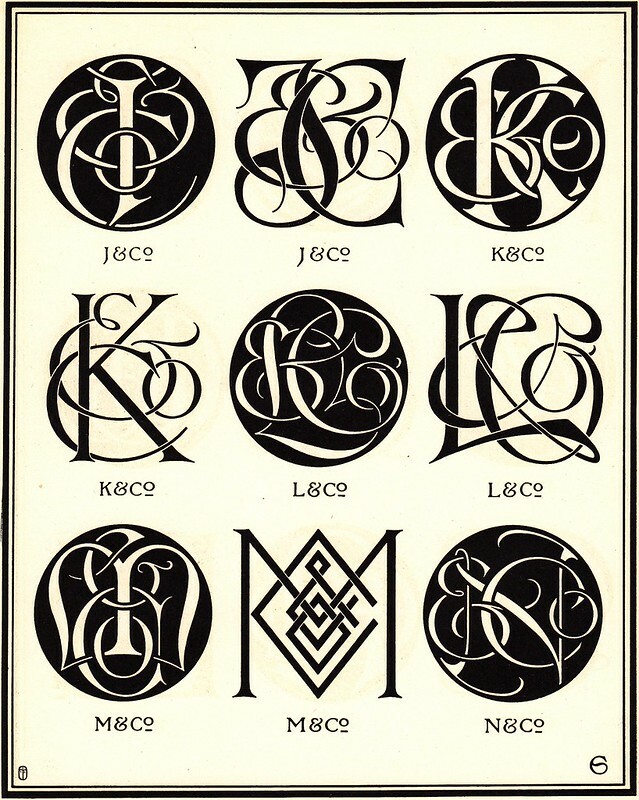 If anyone hopes to find a monogram of initials to adopt as their own, remember the order doesn't matter in a 2-letter monogram. There is no PK, but there is a KP. That'll do me.